It was winter of 2011 when I first met Jacqueline Kelly’s Calpurnia Tate. I had owned the book for at least a year, but for some reason I hadn’t picked it up to read. Once I did, I could immediately think of so many students who needed to meet Calpurnia – a girl at the turn of the century (1899) that had a burning curiosity and desire to learn. Unfortunately she is living during a time when girls are not expected to have a job outside of the home and certainly not expected to go to school as long as a boy. Calpurnia’s grandfather sees her thirst for knowledge and knows it from his own. They develop a relationship of teacher and student that is at the heart of the book. Although the first book, The Evolution of Calpurnia Tate had a satisfying conclusion, I was left wondering what would happen to Calpurnia. How grateful I was to find out that there was a sequel being released this summer and I would get to return to Calpurnia’s world. 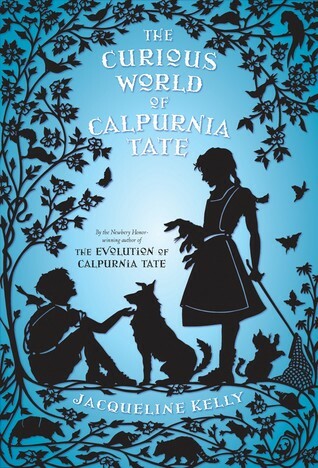 The sequel is called The Curious World of Calpurnia Tate and it will be released on July 7th. In this second book revolving around Calpurnia, we return to her home, filled with Calpurnia, her brothers, her parents, Viola the cook, and Calpurnia’s grandfather. We examine life in 1900 in Texas. I felt there was more to Calpurnia in this book – you saw her away from Grandfather, interacting with her siblings, a cousin that moves in, a veterinarian that moves to town. I grew to love Calpurnia and wondered what would become of her as she grew up in this time. When the end of the book came, it was at once satisfying and left me hoping that Kelly will write a third book for Calpurnia, and soon. 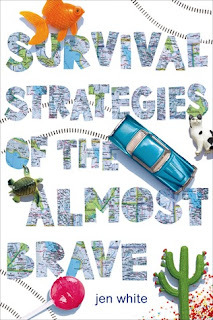 It was also fascinating to read this book shortly after devouring Anita Silvey’s new Jane Goodall biography, Untamed. I couldn’t help but think that Goodall and Calpurnia would have made fast friends. I think this would be a perfect pairing for any of my young students who want to study a modern day Calpurnia Tate. Take some time this summer to get to know Calpurnia, through book one and book two. I bet that once you do, you will think of many students who would want to meet her too. I’ve written a lot about the importance of relationships, the impact of letting our students truly know us. Yesterday I saw three clear examples of the impact that this simple act can have. I wanted to share them here, but I hesitated. Was it bragging to share? Maybe yes and no. I am proud of what I do in the classroom, but I do want to help others. I thought some more. I started the week at a writing retreat with friends. Late one night my friend, Franki, was talking about digital literacy. She looked at me and said it wasn’t my most important message. 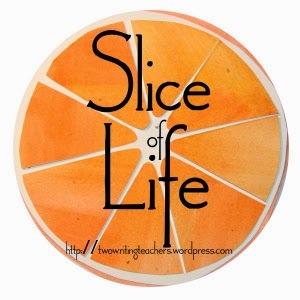 I was offended, at first, but then she asked me to really think about it, what was I driven to tell others about, to help them grow in regard to. Phrased that way, it came quickly to me, and it was something I already knew. Relationships. I still believe teachers think it is fluff. That it shouldn’t matter if you build strong relationships with your students. That teaching comes first. I have to disagree. I believe your students will grow far beyond your expectations if you lay the groundwork of relationships first. Then you will see an impact that lasts a lifetime. I had several reminders of this yesterday, and then ended up making me want to share today. My husband was laughing at me last night. Sitting in our living room after I walked with a friend, I was reading two emails to him. One was from my student, Olivia, who had emailed after returning from vacation. She had to tell me about finishing the last book in a series – a series both she and I adore. She knows I really don’t like the end of a series. It is too final, I hate being done. She ended with saying, “HOLY CHEESE. It's stinking AMAZING! I. Am. Mind blown. I laughed. First of all, holy cheese? My new favorite exclamation. Second, I loved that she remembered I didn’t like endings, but wanted to convince me to read it anyway. She also wrote a reading response to it and uploaded it to Google Drive to share with me, just as she had all school year. I suppose it doesn’t matter to her that we ended school twenty-three days ago. This made me smile. Two years later she still remembers that I love the punctuation of an ellipsis? That she even still wants to take the time on summer vacation to send me a long summary of a book she’s reading? My heart was full to bursting. Chris made an offhand comment that he thought I was working some sort of spell with these kids, that he would never have written to his teacher after the year was over. I said I just treat them like our boys, share dreams, fears, and things I love. That by doing that, they know me and then I get to know them. Yesterday Luke, my oldest, and I spent the day together. He had a doctor appointment in the morning, then basketball, then we headed to lunch, and then to the orthodontist to get his braces put on. At a few days shy of thirteen, Luke seems more like a teen than ever. However as we drove to Champaign I was struck by how mature he was. He asked me if I was still trying to write a book for teachers. I shared that I had paused on that endeavor. He looked over, worried, and said why would I hit pause if that was my dream. We had a great conversation. When we had extra time between lunch and the orthodontist, he suggested the bookstore. When he came to the children’s section to find me, I was reading a picture book. I closed it and said that I had to buy it. Luke asked why and I simply handed it over. Yep, my boys get me too. The thing is, I strongly believe relationships are important. I think without them, we will only scratch the surface of what is possible. And I am so glad to occasionally have days that remind me of the importance of this work. Yesterday was one of those days. 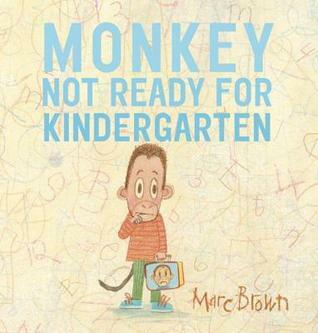 Recently, I was sent Monkey Not Ready for Kindergarten for review. Now I do consider myself to be in a great position to review this book. One, I taught kindergarten for two years. Two, I am very familiar with Marc Brown's work through a wonderful aardvark named Arthur. Three, I have two boys that have already been through kindergarten and I completely get the mindset of a timid child at that stage in their life. So it was in that frame of mind that I approached Monkey Not Ready for Kindergarten and I was immediately hooked. Monkey could have been Luke or Liam. Both were so hesitant about starting school, excited, but worried about the unknown. I felt transported back several years. See Monkey's big day is upon him, the start of Kindergarten. And while everyone else seems to think this will be the beginning of great things, Monkey isn't too sure. His parents attempt to reassure him, his brother does too. Even some kids that will be in his class promise great things once the year begins, but Monkey worries. I think if I taught Kindergarten, this would be my read aloud on the first day of school. You could address, and calm, the fears of every child in your class. Even teaching fifth grade, I plan on using this in my room at the start of the year. While my fifth graders are the "big" kids, they are nervous too. This will give us an opening to remember what it was like to be five and provide an opening for conversation to discuss our concerns as we begin our year together. I think it is a fabulous book. All of the books are terrific, but as for a new "must read", I highly recommend To The Sea. Simply a brilliant story of friendship and being seen. I'm currently reading Brian Selznick's The Marvels. Wow! I recently received a review copy of If An Elephant Went To School. This picture book comes out July 21st. I was immediately charmed and dismayed as I read it. Charmed because the illustration and story are so much fun. Dismayed because I wished I had a copy when my almost three-year-old niece was at my home a few days before. This book is made for three-year-olds. Vivian, my niece, is currently in that stage of development where everything is “silly.” If you ask her if her dinner is for Luke or Liam, she will reply, “No, that’s silly.” She loves to laugh and loves when things are obviously in the wrong spot. So I just know, this is a book for her. I also think this would be an awesome read aloud for a preschool to Kindergarten class the first week of school. The picture book begins with, “If an elephant went to school, what would she learn? The ABCs? No Way! An elephant would learn to use her trunk as…” and goes on from there. Each spread is a new animal and what they would, and wouldn’t, learn at school. The book beautiful captures the similarities and differences we all have and how school could best be structured to suit each person or animal. I think any child would be delighted to read it. Liberty is having a tough time of it. She and her sister, Billie, have lost their mom. Their dad has never been reliable and hasn’t been in their lives for quite some time. However, he agrees to take the girls, at least for the summer, as he explores the southwest. Life with dad is not great, but takes a turn for the worse when he abandons Liberty and Billie at a gas station far from home. Liberty feels that it is up to her to protect her sister and get the two of them back to safety. It is a lot for a twelve year old to handle. This book is filled with quirky characters that the girls encounter along their journey home. This book captured me from the start. Liberty’s desire to protect her sister is heart tugging. Her journey is not an easy one, and hasn’t been for some time, but you will be rooting for both she and Billie until the last page. Jen White’s debut novel reminded me of my favorite TV series of all time, Gilmore Girls. Both the book and the series have a powerful team of girls at the heart of it. There are also many secondary characters that pull you in and leave you wanting to know more about them. The characters that Liberty and Billie encounter range from the crazy – a Star Wars obsessed boy’s brother, to the helpful – a tattooed truck driver. I also loved Liberty’s habit of writing in her notebook and her strategies that started off each chapter that she was sure would get them home. This is a book perfect for so many of my fifth graders. Those kids that love a realistic fiction adventure story that has an amazing relationship at its core. They will devour it. I cannot wait to share this one with them. Today I found myself standing where I am often most at home, the bookstore. It isn’t as easy as driving downtown to get to a bookstore when you live surrounded by cornfields. No, you must get in said car, drive twenty-five miles, visit Barnes & Noble because there are no independent stores remotely close by, peruse the shelves, stop at Starbucks, and drive twenty-five miles home. That being said, I love it. There is something comfortable about a bookstore. There is possibility all around me. Books just waiting to be opened, stories to be told. I think my heart rate slows down when I’m there, my breathing is deeper, I’m more at ease than anywhere else. It’s quiet, but not too quiet, and I feel at peace. When I head to the bookstore, I almost always head straight to the back, the children’s department. There I greet L.B.B. 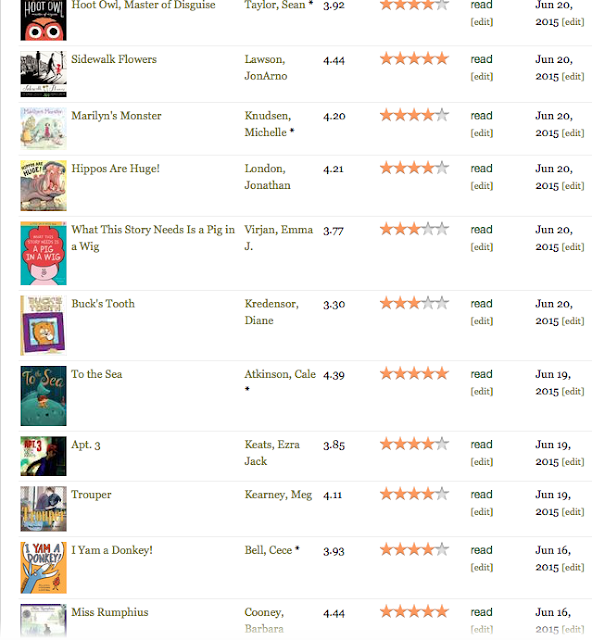 and head to the left where the picture books reside. While I’d love to purchase every new picture book, two items must hold me back. One, I already spend a small fortune on my classroom each year. One must be choosy. Two, we are at a one in, one out point in my classroom. The room is encircled by bookshelves. There is simply no more room for new books. Apparently 3263 is the magic number, no more, no less. 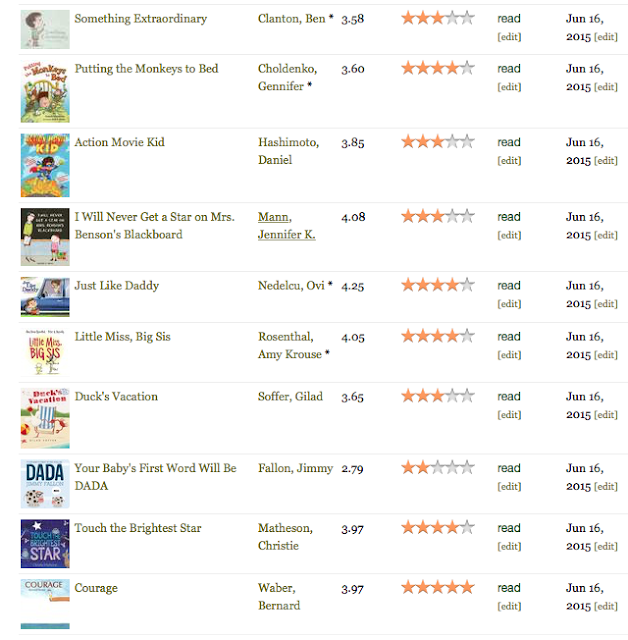 And so, the first thirty minutes or so of my visit finds me reading as many picture books as I can. As I read, I think whether this book is a must purchase for my classroom. Can I think of a mini-lesson I would use it for? Is it something that fifth graders need before heading to middle school? Today I read ten picture books and ended up deciding to purchase Courage. Not sure what book will have to come out to make room. After spending time in the picture books, I move to the right and the world of middle grade novels. I shake my head at some clearly YA books that have been placed here. I can only assume that the folks working at Barnes & Noble don’t read all of the books they shelve. I briefly consider reshelving them for the employees when my attention is diverted – a woman and a young girl struggling to find a match. I begin eavesdropping and pick up a few facts. They are not related, the young girl is getting ready for third grade and her mom is the woman’s friend. They pick up a few books, but the young girl despairs. The books look too hard for her. She whispers, “I’m just not good at reading…” and I swoop in. I ask if I can make a suggestion and the woman looks at me like I’m a bit crazy. 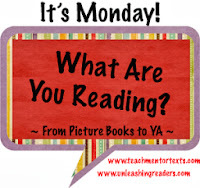 I explain that I teach reading to fifth graders and love books. She then gives me the hopeful glance of someone reaching for a life preserver. I look at the little girl and ask, “Have you ever read a graphic novel?” She shakes her head. With my heart lifted, I say, “Come and meet my friend, Babymouse,” and I stride across the room. We stand at the shelves containing Babymouse for only about five minutes. I quickly describe the backstory and point out a few features of the book, like the reasons for the pink background. The girl opens up Queen of the World and reads the first three pages. Glancing up, she smiles and says, “Hey, this is good. And I can read it!” Tears spring in my eyes and I wish her well. The woman thanks me and they begin pulling several volumes off the shelf to buy. 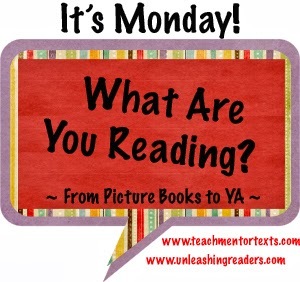 I return to the middle grade novels area with a smile on my face. 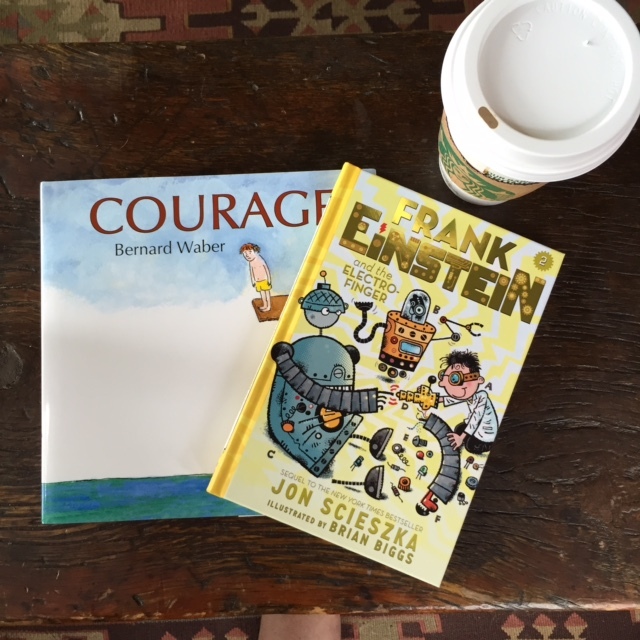 Grabbing the new book in Jon Scieszka’s Frank Einstein series, I head to the register. After purchasing both it and Courage, I head to my car. Almost on autopilot, I find myself in the Starbucks drive through. I realize I’m smiling, thinking of the girl meeting Babymouse for the first time, the new students who will experience these two books currently residing on my front seat, of the fifth graders I will get to match with books this year. I miss that over the summer. Bookstores. Libraries. They are simply the best. Walk into the door and the whole world awaits. What a wonderful way to spend a morning. Thanks to Travis Jonker for making me love this character with a crazy name from the comment section of THIS post, it is well worth the read. Sigh, another book needs to leave. This is never ending.